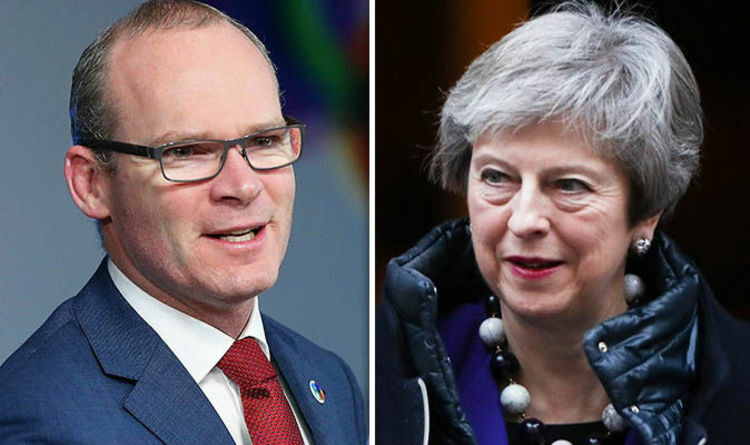 Irish foreign minister Simon Coveney warned against assuming a withdrawal agreement will be signed off by the European Union just because the deal receives the backing of Theresa May’s Cabinet. Yesterday the Prime Minister’s inner circle were invited to review parts of the draft text which have already been agreed with Brussels and reports suggest EU leaders will meet at the end of November for an emergency Brexit summit. The divorce deal is said to be 95 percent complete and the Irish border conundrum is the final hurdle to overcome. But Mr Coveney said today: "I would urge caution that an imminent breakthrough is not necessarily to be taken for granted, not by a long shot. "Repeatedly people seem to make the same mistake over and over again, assuming that if the British Cabinet agrees something, well, then that's it then, everything is agreed. "This is a negotiation and needs to be an agreement of course between the British Government, but also with the European Union and the 27 countries that are represented by Michel Barnier and his negotiating team. "So while of course we want progress to be made and we want it to be made as quickly as possible because time is moving on, I would urge caution that people don't get carried away on the back of rumour in the coming days." The question of how to avoid a ‘hard border’ between Northern Ireland and the Irish Republic after Brexit has proved to be the toughest issue in the exit talks. Both the UK and EU agree on the need for a ‘backstop’ contingency to avoid new infrastructure such as customs checkpoints if no deal is reached, but there has been intense disagreement over how it should be achieved. Mrs May has been pushing for a solution which would keep the entire UK inside the bloc’s customs union to avoid the need for checks along the politically sensitive Irish border. Brussels had rejected Britain’s proposal, but it emerged today the EU is prepared to cave to the demands in order to wrap up a deal this month. But Brexiteers fear the arrangement could effectively tie the UK to the customs union indefinitely. Environment Secretary Michael Gove and former Brexit Secretary David Davis have called on Mrs May release the legal advice setting out how the deal could be ended to avoid it becoming a permanent settlement. Meanwhile, a group of business leaders added their names to a growing number demanding a second referendum. Michael Rake, chairman of Worldpay, Justin King, former CEO of Sainsbury's, and Karan Bilimoria, the founder of Cobra Beer, today declared their support for a so-called ‘People’s Vote’ on Mrs May’s final deal. But Brexit campaigner Richard Tice, and co-chair of campaign group Leave Means Leave branded complaints of a “democratic deficit” after Britain already had the chance to vote in June 2016 as “unique irony”.